Dr. Sonia has completed her MBBS in 2000 from Dayanand Medical College & Hospital Ludhiana, India. She completed her DGO from Christian Medical College n Hospital Ludhiana, India in 2002. Dr. Sonia has worked with Punjab government for 3 years and then worked in private hospital in Rajasthan, India as a Consultant for 6 years. She has over 9 years of experience in obstetrics and gynaecology. 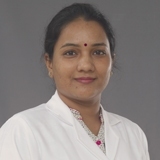 She is skilled in conducting normal deliveries, instrumental deliveries, breech vaginal deliveries, cesarean sections, tubal ligation, ectopic pregnancies management & infertility management. She has participated in various National and International Conferences and Seminars. She is also a member of the FOGSI (Federation of Obstetrics and Gynecology society, India). Dr. Sonia has excellent communication skills and speaks fluent English, Hindi & Punjabi.